Read More Racing Tips From Annie! As mentioned in the last installment of Project Racer, one of the main ingredients to being a fast driver is horsepower. Though horsepower isn’t everything, it sure makes a hell of a difference, except for the instances when you’re competitively road racing in classes like our new MPTCC where you are limited to a 12:1 power to weight ratio. Being that the NX2000 is one of the heavier members of Nissan's B-chassis family, we feel that horsepower isn’t an issue for us yet, as we have come close to, but have not yet hit that limit. JWT S4HL cams look a lot like stock cams for a reason. They use brand new OEM quality billets and finishing methods to assure long life. No crappy Chinese blanks and machining or shady regrinds here. So what was the cherry on top of our horsepower upgrades? 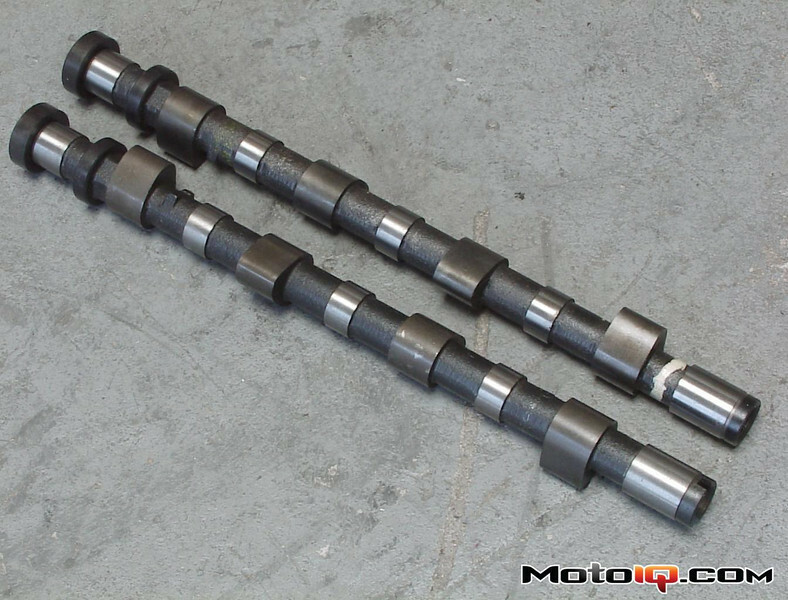 S4HL Camshafts from Jim Wolf technology. What are cams? First, let’s start off with the term “cams”. Cams are actually the lobes of the entire assembly, which is more formally known as the camshaft. But, for this article, we’ll stick to calling them cams, as that is the casual term for the part. So, let’s give a little introduction on the basics of cams. In layman’s terms, as the camshaft spins, the lobes on the shaft lift the rocker arms, opening and closing the intake and exhaust valves according to the shape of the lobes. The valves are opened and closed in relation to the position of the piston. An SR20DE engine like the one in our NX2000 is a DOHC or dual overhead cam engine. This means that the cam is on top of the valves in the head and there is an individual intake and exhaust cam. The advantage to overhead cams is the valvetrain can be simple, lightweight and compact. This works better at high rpm. The cams are driven at ½ of the crank speed to open and close the valves in the sequence required by the 4 stroke cycle. For an explanation of this click here! The valve timing is very different between different cams. For performance cams, there is more duration and lift. This means that the valves are held open for more degrees of crankshaft rotation and opened higher.